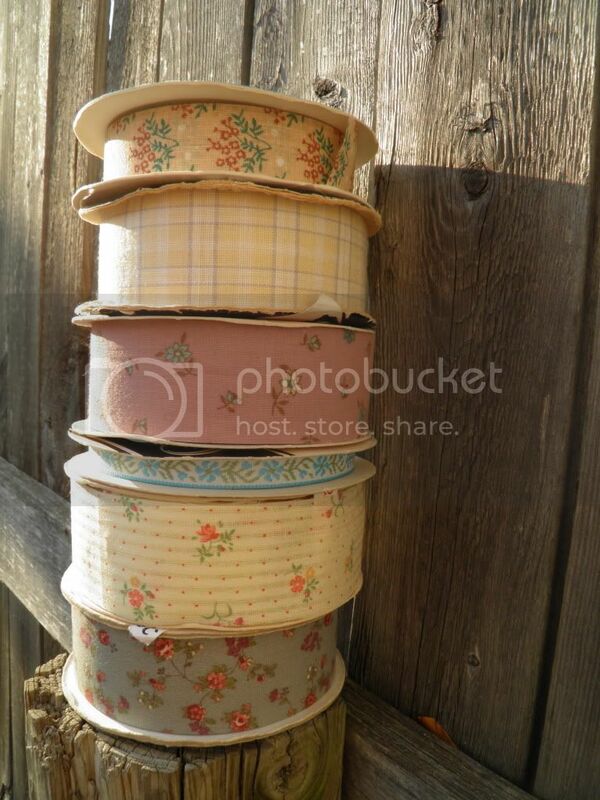 I love it when I visit the thrift store and snag pretty vintage ribbons. They don't show up very frequently, but when they do... I swipe 'em. Not only are they pretty to look at, but they're also great for sooooo many projects. I have used them as notebook binding with a little Modge Podge. I have glued them onto art journal and scrapbook pages. And I have also used them for the projects shown below. Let's take this $0.25 skein and see how far it can go, shall we? 1. The first thing I made with this, my favorite skein from the stack above, is a hair accessory holder. Most of my pretty hair pins were stuck in a makeup bag that didn't see the light of day. I even routinely forgot and neglected what was in there! This was just a quick solution that I whipped up. 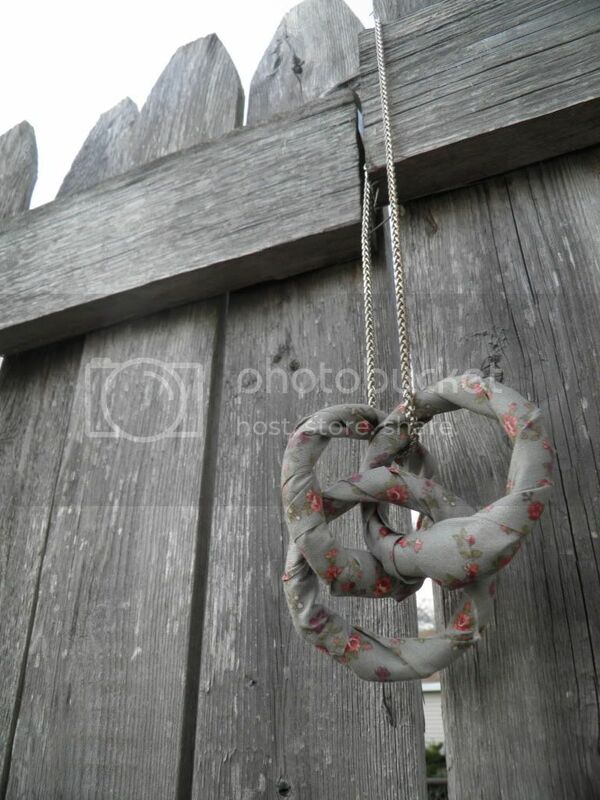 It hangs from an adorable vintage towel holder in our bathroom closet. All I did was take a length of the ribbon and fold it in half. 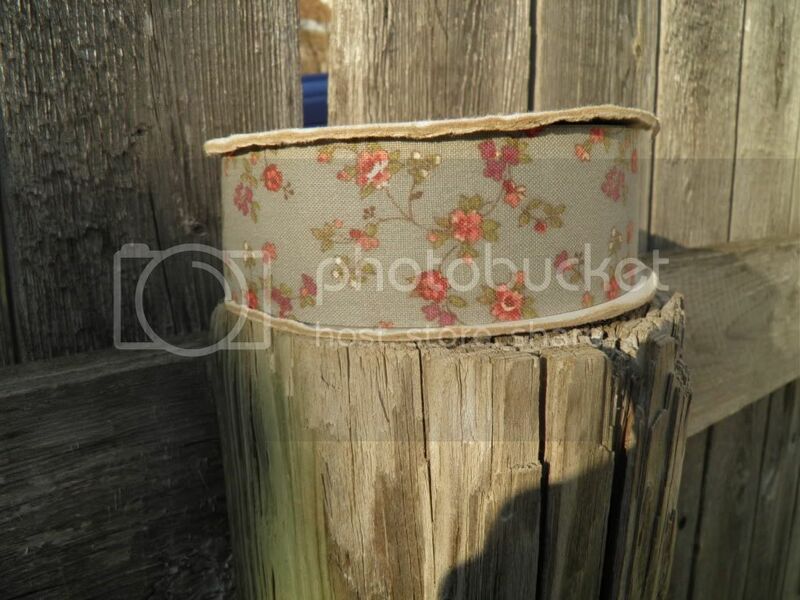 Then, I hand-sewed two loops to both ribbon ends. I hang it folded in half so that I can loop my headbands through too (notice the burnt edge flower hairband). The ribbon is stiff enough that I can just slide my hairpins right on. I made the blue hairband and the top bow-tie clip. 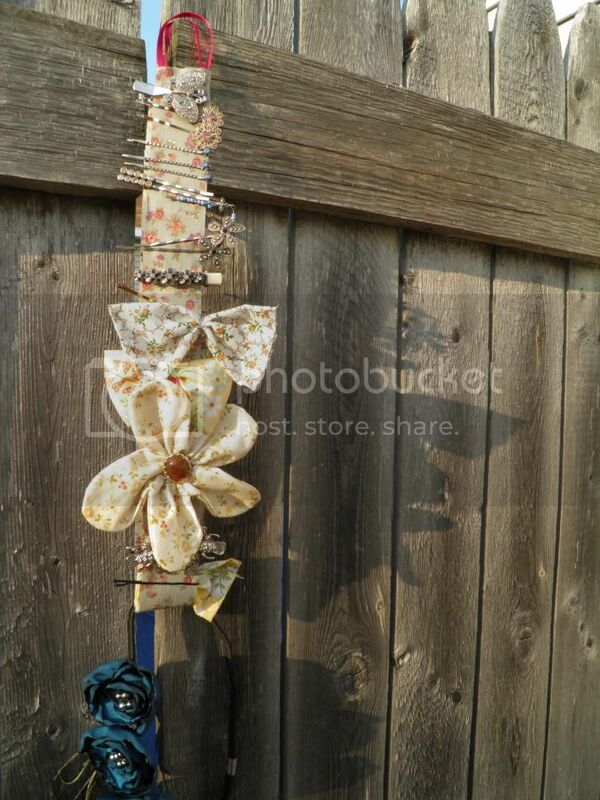 The second and bottom bow-tie clips were from Dainty Daisies. The big flower clip was from a now-defunct local store. 2. Ribbon headband: Remember how I told you that you could find hairband packs at dollar stores? This gray one came from one such pack. 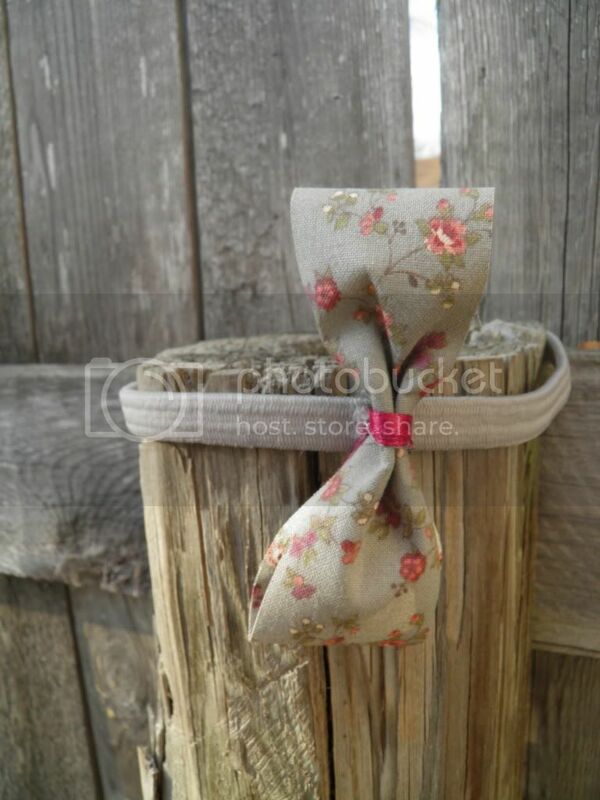 The bow is made by taking a small length of ribbon and either gluing or sewing the ends together to create a circle. Then, pinch the centers together and wrap with a coordinated ribbon. Sew the bow to the hairband and voila! 3. Shower Ring Statement Necklace: I found this idea on Promise Tangeman's blog. I connected three shower rings, wrapped ribbon around them, and strung them through a silver chain. Hot glue works just fine for holding the ribbon in place. Fun, huh? And there is plenty...I mean plenty...of ribbon leftover. Let's see where else this can take me.